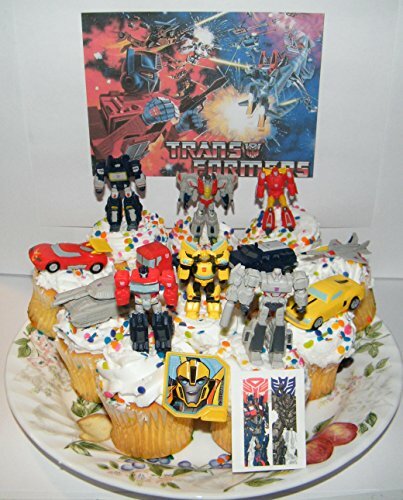 This fun cake topper 14 set includes 12 Transformers, special Tattoo, Transformer Ring! The neat figures have no moving pieces,1 to 2 inches tall and work best on 12 inch cakes. This set features popular Transformer figures and vehicles great for any Transformer fan! If you have any questions about this product by Party decor Inc, contact us by completing and submitting the form below. If you are looking for a specif part number, please include it with your message.